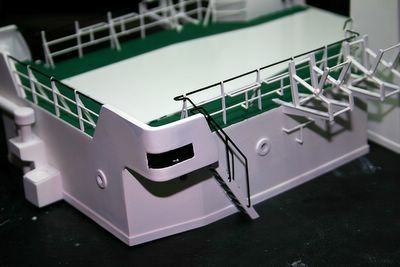 Here is another view - the ladders were especially difficult to paint on the model - I will know for next time although I am going to have the same problem with the wheelhouse to a certain extent. 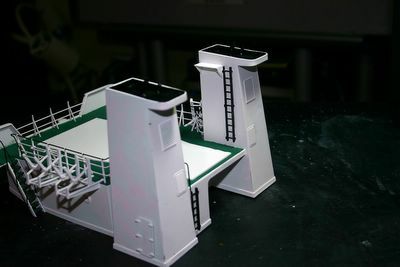 Here I painted various parts of the superstructure black. 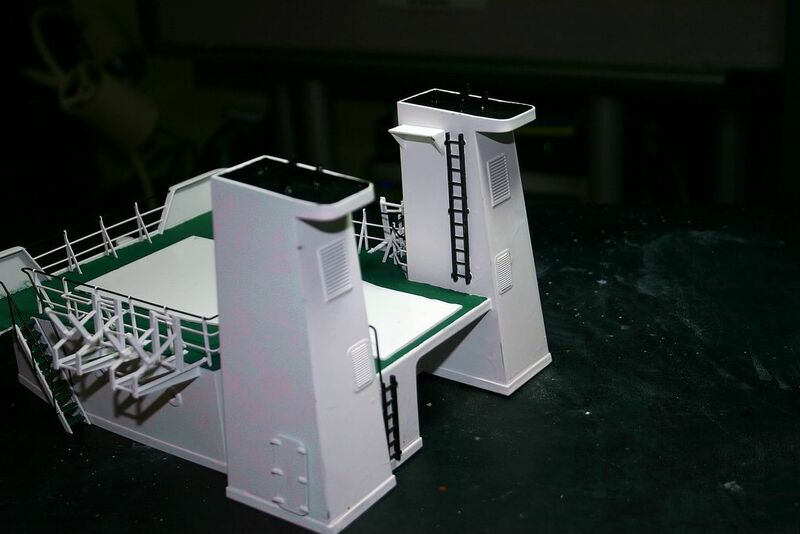 It was really a mistake not to paint various parts of the supersturcture before gluing to the superstructure - for example the ladders and railings.